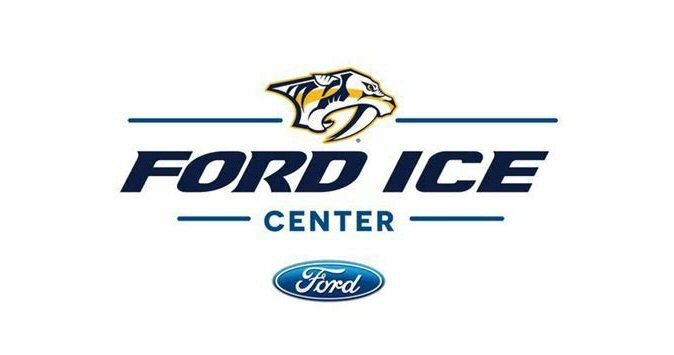 The Ford Ice Center located in Antioch on the outskirts of Nashville, Tennessee opened in 2014. It is a multi-million dollar modern facility with two ice skating rinks. The Ford Ice Center has camps, classes, public skating and the Scott Hamilton Academy which is part of the Center’s “Go Skate” program. Those between the ages of 3-99 can sign up for a free 30-minute lesson. This offer includes skate rental. Classes occur on the third Saturday of each month and registration is limited to the first 100 participants. The Ford Ice Center can be rented for parties and they also have ballet classes. Their scholarship fund is set-up to provide financial assistance to youth from Middle Tennessee interested in hockey or skating. Since there are two rinks public skating can take place even when the Center is hosting clinics or an event. 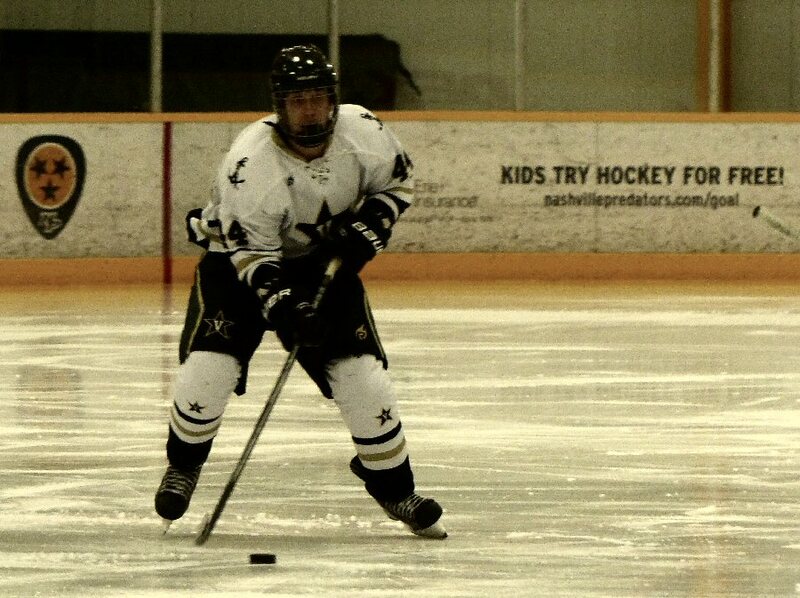 The first weekend of October 2015, the Ford Ice Center presented the Second Annual College Hockey Scholar Shootout with the Vanderbilt Commodores hosting. On Friday through Sunday athletes from various U.S. colleges competed in high energy games that were free and open to the public. This facility with a number of big named sponsors has two levels. The second floor is warmer with seating overlooking both rinks and a lounge area. The first floor has a number of viewing spots including standing and seating by the ice. From this vantage point spectators at the college games were right next to the action. We could feel the glass shake when the men slammed into the wall. The university level may not have been as rough as the NHL but the academic players were agile and aggressive. MusicCityNashville.net attended an afternoon match on October 05, 2015 between Vanderbilt and Northwestern Universities. Vanderbilt scored early. They were up by two after an animated first period. In the next period Northwestern was unable to take advantage of a power play and Vanderbilt widened their lead. The final score was 7 to 2 in favor of the home crowd favorites. While this hockey was at the club level and below NCAA Division quality it was still very good. In fact, we asked a member of the Notre Dame squad who was warming up if any players ever advance to the main squad and he reported that in fact this has happened on numerous occasions. So, you can see club level hockey is a cool path one can take to glory on the ice.